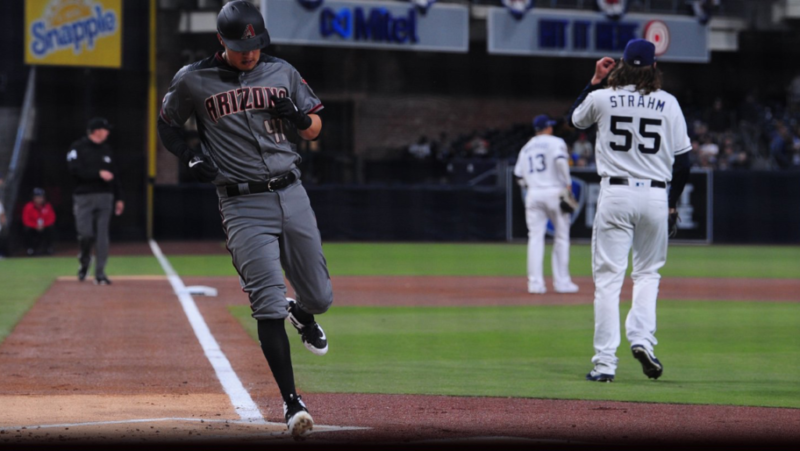 Fresh off a series drubbing at the hands of the Los Angeles Dodgers, the Arizona Diamondbacks traveled to San Diego to battle the Padres. Arizona was 12-7 last year against San Diego and was 7-3 at Petco Park. Arizona is hitting .273 with 16 home runs and 67 runs scored in its previous 11 games in San Diego. 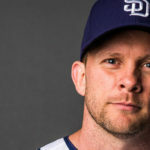 This is a different Padres team than what you saw last year. The pitching staff is young but has improved and is showing signs of life. The Diamondbacks lost Paul Goldschmidt and A.J. Pollock from the team but added a few veterans to fill the void. Adam Jones and Wilmer Flores were signed and could have decent years in the desert for Arizona. Matt Strahm took the mound on Monday, as he was the last starter to begin his 2019 campaign for the Friars. Strahm was touched up in the first, allowing a leadoff homer to former Morse High School baseball player Adam Jones. It was Jones’ seventh career leadoff home run. Strahm gave up three balls that were hit more than 100 mph in the first inning as his command was off. He escaped on a lineout double play to right field off the bat of Ketel Marte. 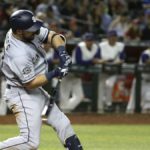 The Padres scolded three balls in the bottom of the first, but their hits were all defended by the D-Backs’ defense. 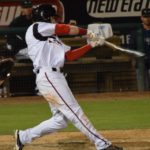 Arizona chipped in another run in the second as Strahm struggled with his control once again, walking two in the inning including Merrill Kelly, the opposing pitcher who was taking his first at-bat as a major leaguer. The third inning didn’t fare any better for the pitcher as he was knocked out of the game. Strahm went 2 2/3 innings on the night, allowing five earned runs before giving way to Robbie Erlin. 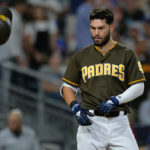 Despite the fact the Padres were facing a 30-year-old rookie, the offense struggled to get anything going off the right-hander. Arizona, on the other hand, had 12 hits through the first five innings and were knocking the cover off the ball continuously. Robbie Erlin battled but ran into trouble in the fourth allowing four, more runs to take the total to 9-0 D-backs after five innings. The game was essentially over at that point. Merril Kelly was effective all night keeping hitters off-balance with a fastball/curve combination. 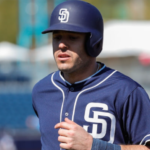 The Padres had a few opportunities to score early, but could not get that clutch hit. 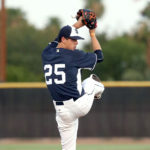 He earned his first career major league win in his debut for the Snakes. 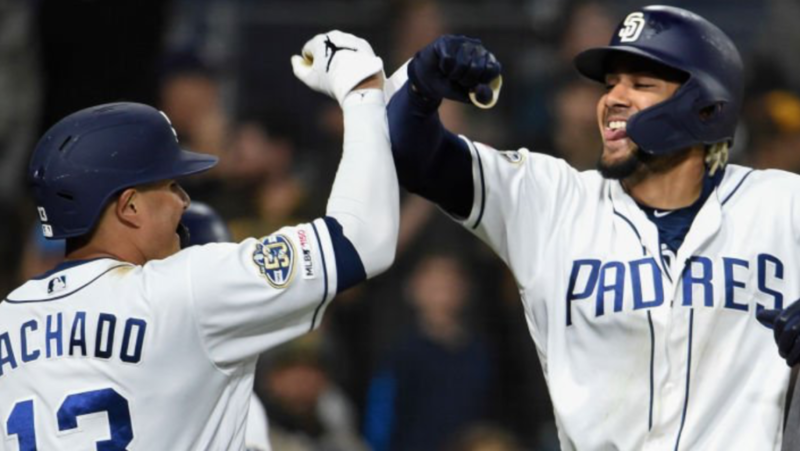 The night was not a total loss for San Diego, as Fernando Tatis Jr. recorded his first major league home run. The Padres had an off night. There is no other way to put it. The team did not catch the breaks, and that is just how it goes in the game of baseball. The final score was 10-3 as the Padres only managed six hits compared to the Diamondback’s 15 base knocks. 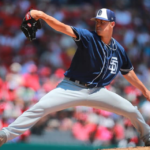 The Padres will look for Eric Lauer to right the ship, as the lefty will face Arizona and staff ace Zack Greinke tomorrow night in the second game of this three-game set.